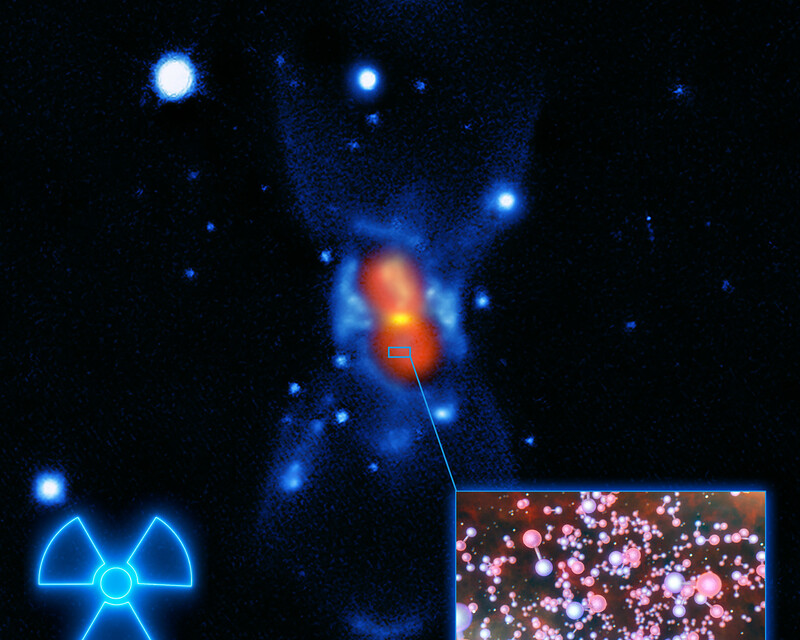 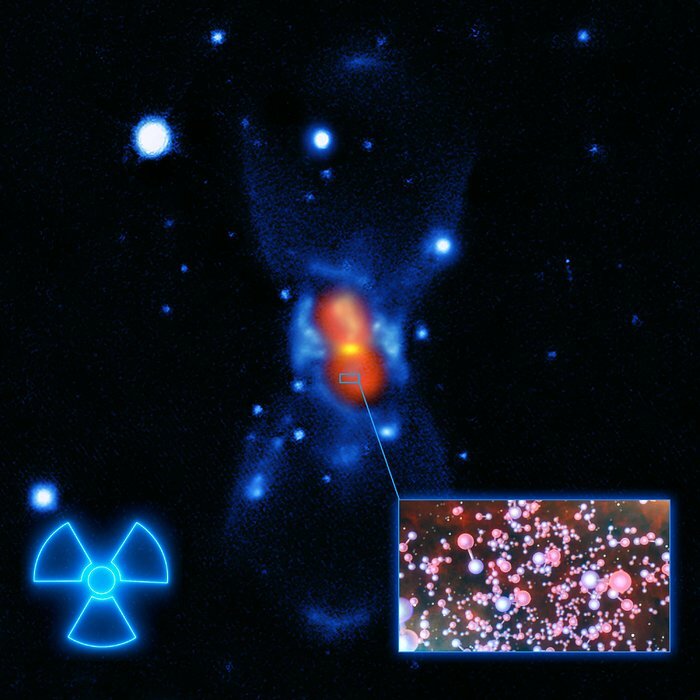 Image of CK Vulpeculae, the remains of a double-star collision. 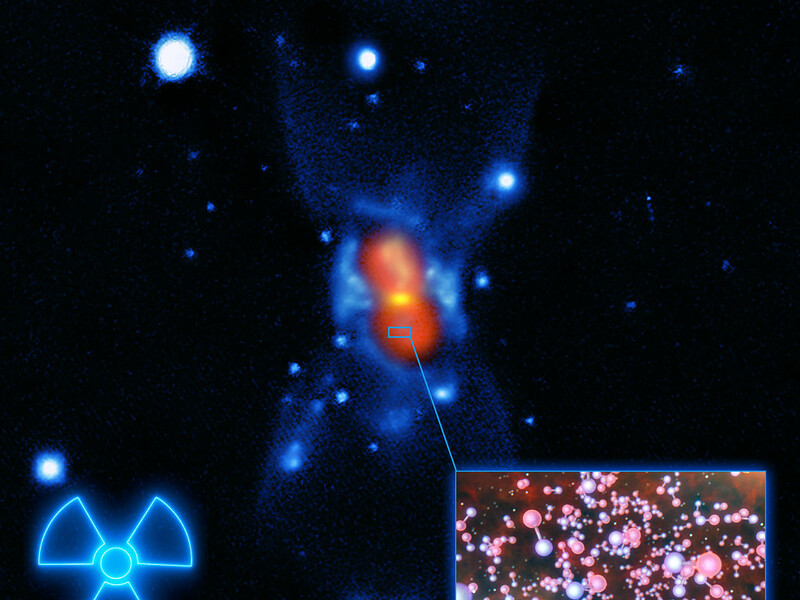 This impact launched radioactive molecules into space, as indicated in this artist's impression, which gives a very close-up view of what these molecules look like . 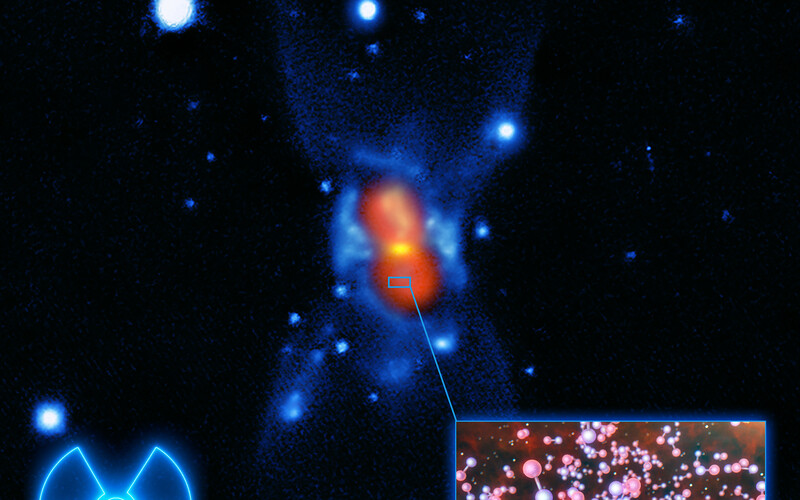 The background image was created from a combination of visible-light images from the Gemini telescope (blue), a submillimetre map showing the dust from the SMA (yellow) and finally a map of the molecular emission from APEX and the SMA (red).